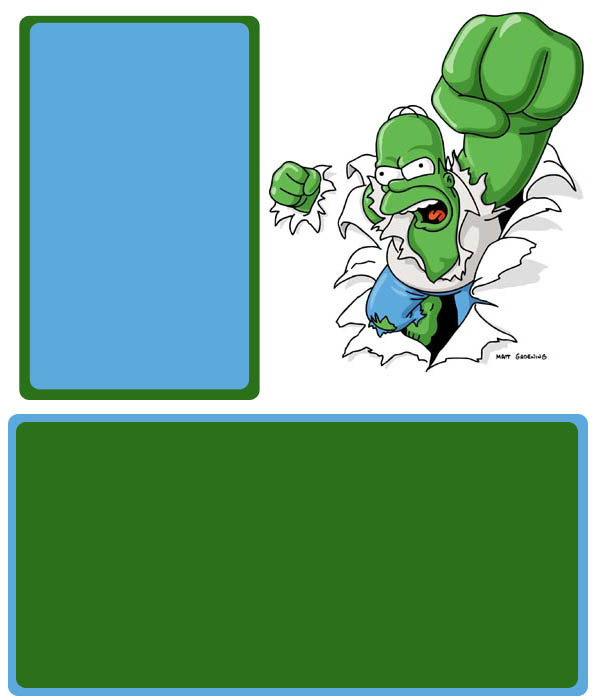 Description: Homer as the hulk, it's quite funny really. He suits the green. 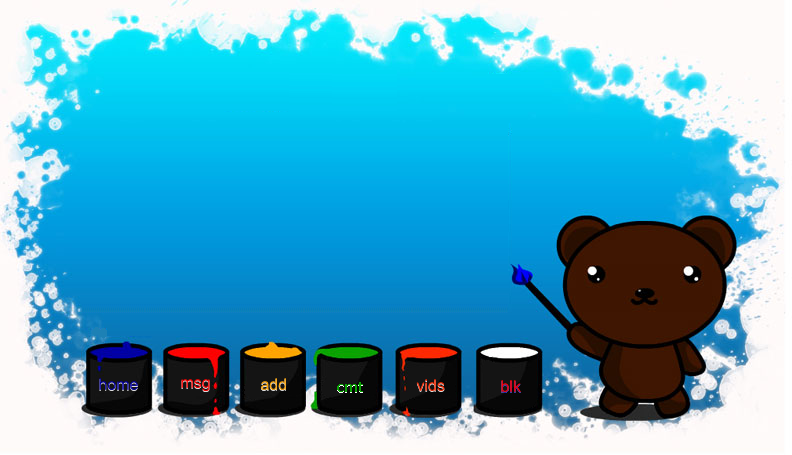 Nice simple layout and a funny theme. Description: I like this layout as it changes. Although it takes a few extra seconds to load, it's worth it. Plus the characters look great too. Description: I love the cartoon characters of them in this layout. 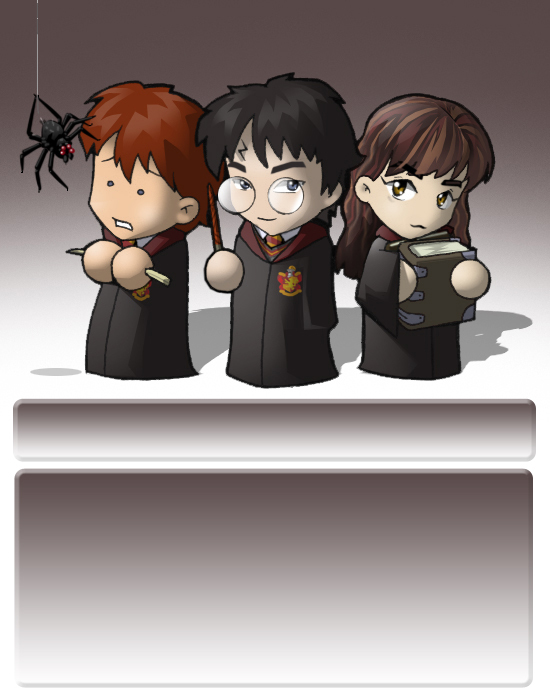 Harry looks so smug, Hermione looks so serious and Ron looks scared. Pretty accurate too. 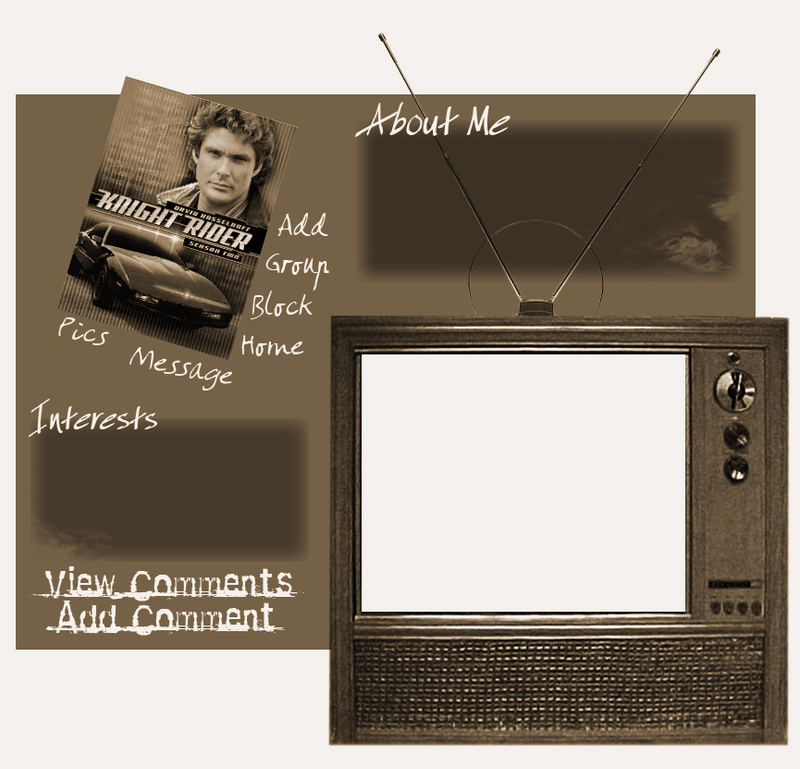 Description: Knight Rider was a great show and the Hoff is great too. This is a good layout for anyone who likes them both. 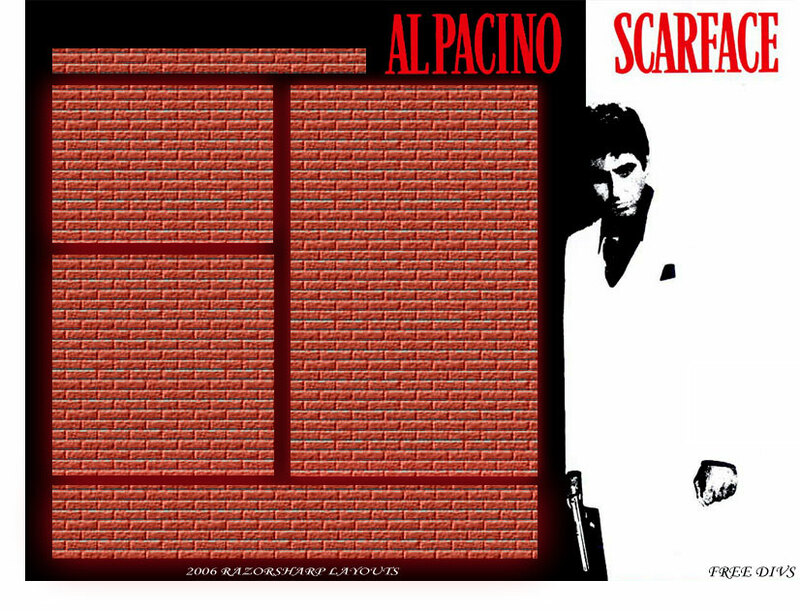 Description: Scarface was an awesome film, so why not make it an awsome layout we thought? Well we did in the end, and here it is.